This security camera design is much suitable for home or office usage where you may need to keep an eye on your kids or pets. ICUSB camera is high-quality full HD 1080p USB security camera also doubles as a smartphone charger. This tiny device will serve a day to day purpose of charging your gadget as well as recording what's happening right in front of it. The camera will start recording automatically and when its memory reaches to full, it will start overwriting on earliest videos recorded. 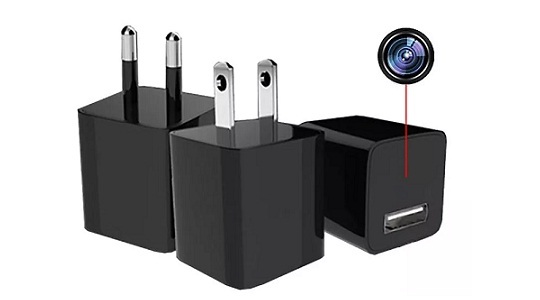 With cellphone wall chargers being everywhere these days, this tiny camera gadget will fit into almost any environment. And yes, no batteries needed, and stay assured as long as it's plugged in.